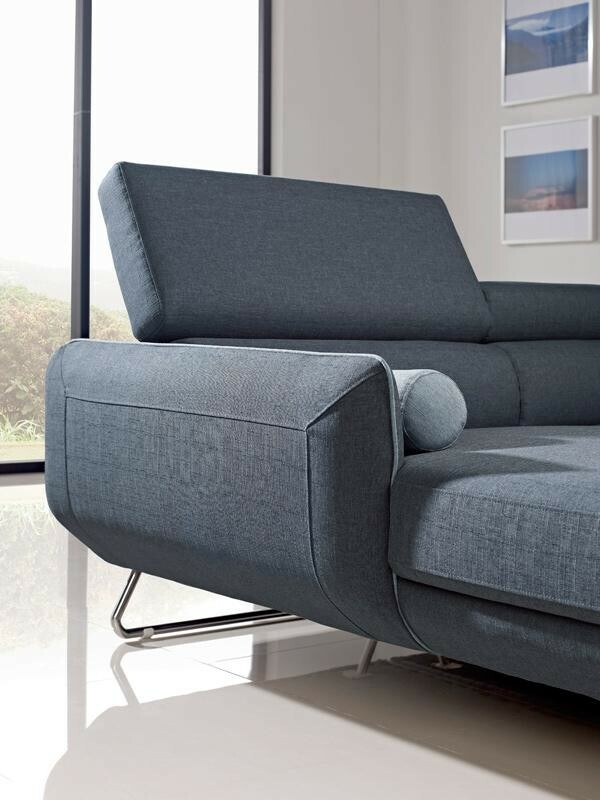 LAF Chaise: W66" x D36" x H38"
RAF 3 Seater: W69" x D41" x H38"
Divani Casa Pierce sectional sofa comes in blue fabric over comfortable two piece sofa chase seating. 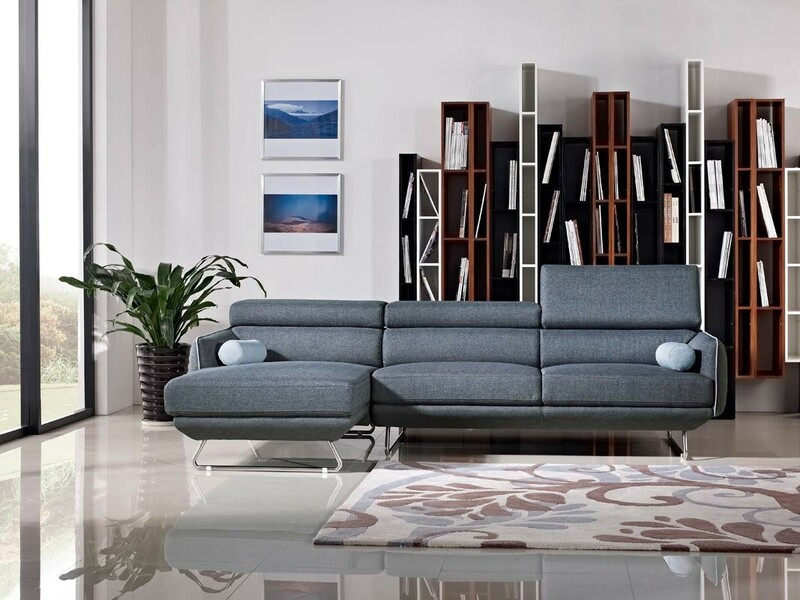 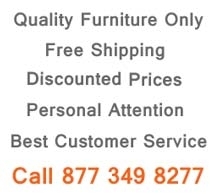 Modern styled sectional has three adjustable headrests that are very convenient allowing you to change the positions to your perfect comfort level. 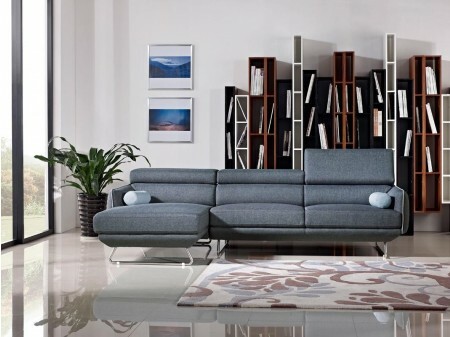 To complete the design gorgeous blue high quality Italian fabric sofa chase sectional includes accent pillows and stands on stainless steel feet.